This is Tommy aged 9. This was a present for Tommy’s 50th birthday! 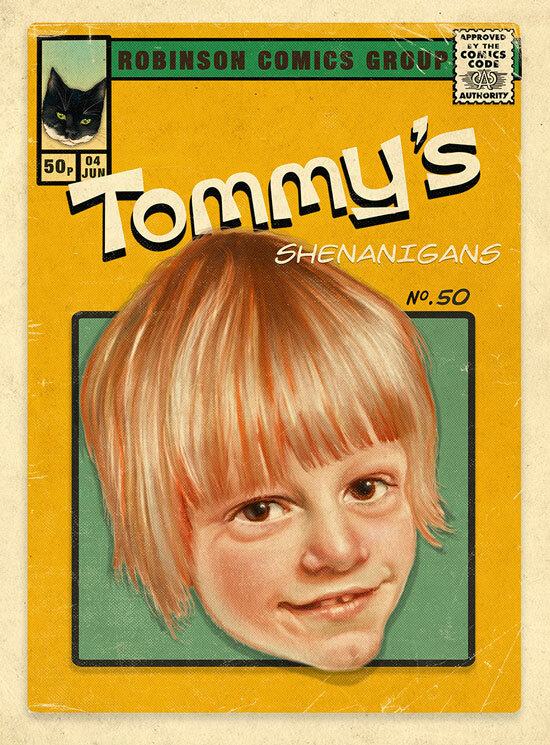 Hopefully Tommy has 50 more years of shenanigans ahead of him. I like to place a treasured possession in the top left corner art. In this case it is Molly Mol, Tommy’s faithful cat companion.